We have the best prices in the market, Our prices won't be beat. Call us at 1-886-451-MEDS (6337) to see how we can help you. BUY 7 boxes of featured Encore Powder Free Surgical Gloves – GET 1 box FREE. 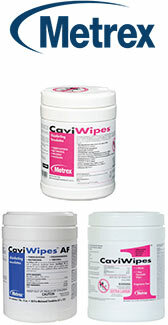 BUY 10 canisters of featured CaviWipes™, CaviWipes1™, or CaviWipes™ AF (no mix and match) – GET 2 canisters (of same) FREE. BUY 3 gallons of SANI ProZyme® Enzymatic Detergent – GET 1 gallon FREE. BUY 3 gallons of RAPICIDE® OPA/28 High-Level Disinfectant – GET 1 gallon FREE. BUY 1 box of Crosstex Face Shields (no mix & match) – GET 1 box (of same) FREE. Kick off your new year with a deal from Bovie Medical! BUY a Specialist|PRO & Smoke Shark II – GET a remote activation switch FREE. BUY a Surgi-Center|PRO & Smoke Shark II – GET a remote activation switch FREE. It's not too late to get the end of the year flu vaccines! Call today, as supplies are extrememly limited. It's the time to start planning for the 2018-2019 flu season and pre-book your flu vaccine orders today. Expected shipping for the 2018-2019 flu vaccine should begin in late August thru October. to Buy Your Flu Vaccine! Just wanted to let you know we are now taking Prebook orders NOW! 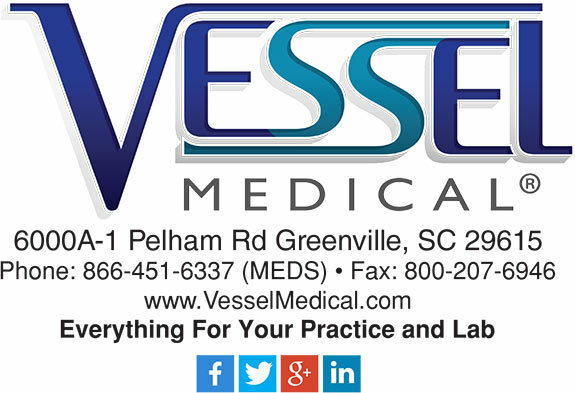 Why choose Vessel Medical for all your medical supply needs? Our goal at Vessel Medical is to provide our customers with a large selection of medical supplies, medical equipment, and discount medical supplies. During flu season, if your office is looking to buy flu vaccine, our Flu Vaccine Center is there to help make ordering your flu vaccine a simple and easy process. Please call us at 1-866-451-6337 to buy flu vaccine today. With one of the largest catalogs of medical, surgical, and diagnostic supplies online, Vessel Medical can ensure that your medical facility will have all the necessary medical supplies, medical equipment, medical test kits ranging from flu test kits to strep test kits to HIV test kits, and medical exam room furniture, such as diagnostic lights and exam tables, to maintain your medical office to the highest of health, comfort, and safety standards for your patients. Why buy your Flu Vaccine from Vessel Medical? At Vessel Medical, we work closely with the manufacturers to distribute wholesale flu vaccine to as many providers as possible, particularly those who serve high-risk patients and their families. The flu vaccine is available in two forms. The flu-shot, which is an inactivated vaccine containing "killed" viruses, and injected with a needle comes in either a multi-dose vial, a single does vial, or a pre-filled syringe. Flu shots are approved for anyone over 6 months of age. A second option is the nasal-spray vaccine (FluMist), which is made with living, weakened flu viruses, which do not cause the flu. This vaccine is approved for healthy people, aged 2-49, as long as they are not pregnant. Vessel Medical offers several different flu vaccines that are rated for use with adults. The GSK Flulaval is rated for adults 18 years and older and is the most ecconomical flu vaccine for the season. Merck Afluria is also rated for 18 years +, but the manufacturers do not make much of it, so it sells out very quickly. Do not be fooled by the flu vaccines offered by Novartis and Sanofi Pasteur. Novartis Fluvirin is rated for 4 years and up which will cover any adult of age, as well as Sanofi's Fluzone being rated for 6 months + and their 36 months +. While most will push these two for the Pediactric fields, they work just as well for the adults. The Flumist can be administered to anyoen between the ages of 2 to 49. Vessel Medical offers many pediactric versions of the flu vaccine you can buy. Sanofi's Fluzone comes in a pediactric dose good for ages 6-35 months which is preservative free. The other Fluzone versions we carry can be used for ages 6 months and older and 36 months and older. Novartis Fluvirin can be used for children 4 years and older. Many parents choose the nasal spray flu vaccine, as there is less discomfort for the child.